During one of our latest journeys to Haworth we found out something we didn’t know and we met someone who is apparently very close to the Brontë family. Does the name Margaret Hartley say anything to you? 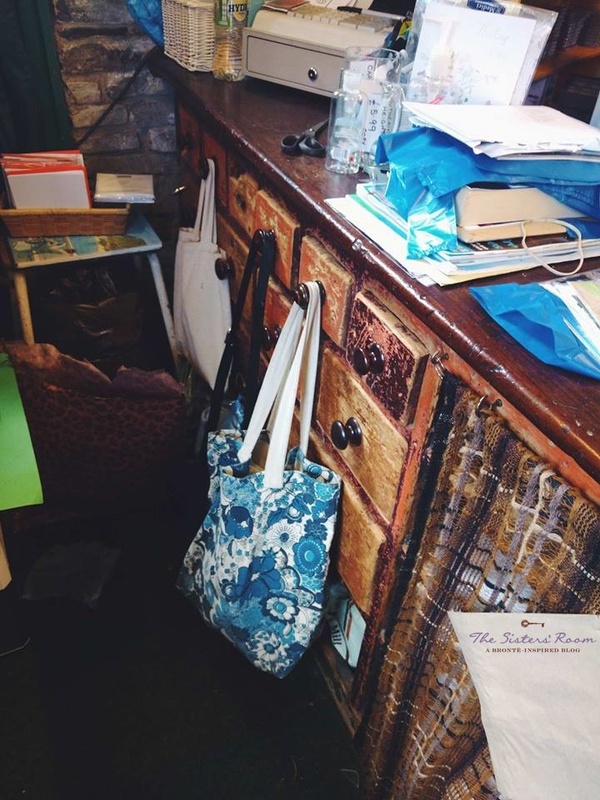 What if we tell you that inside her shop in Haworth there is the original wooden counter which once was in the old post office from where the Brontë sisters used to send their manuscripts and letters? Yes! In Main Street, Haworth, right next to the staircase leading to the church, there is this small shop. The owner is a lovely and always smiling lady: Margaret Hartley. 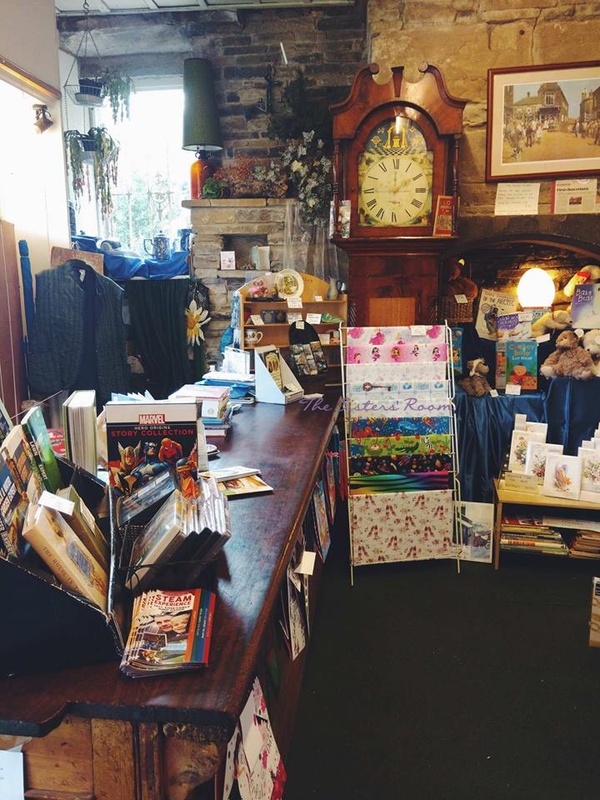 We have been visiting this shop for years, looking for souvenirs to bring back home after spending a couple of hours inside the Brontë Parsonage Museum or maybe after a tasty tea in one of the coffee shops in town. But we’ve found out only recently, and thanks to our amazing guide Johnnie Briggs from Brontë Walks, that the old counter inside Margaret’s shop is actually the very same used by the Brontës. In fact it was the same counter of the old post office from where they used to send their writings. Well, we didn’t. So it was with great pleasure and surprise that we listened to the whole story. Margaret was very kind and also showed us the counter, together with something else too. 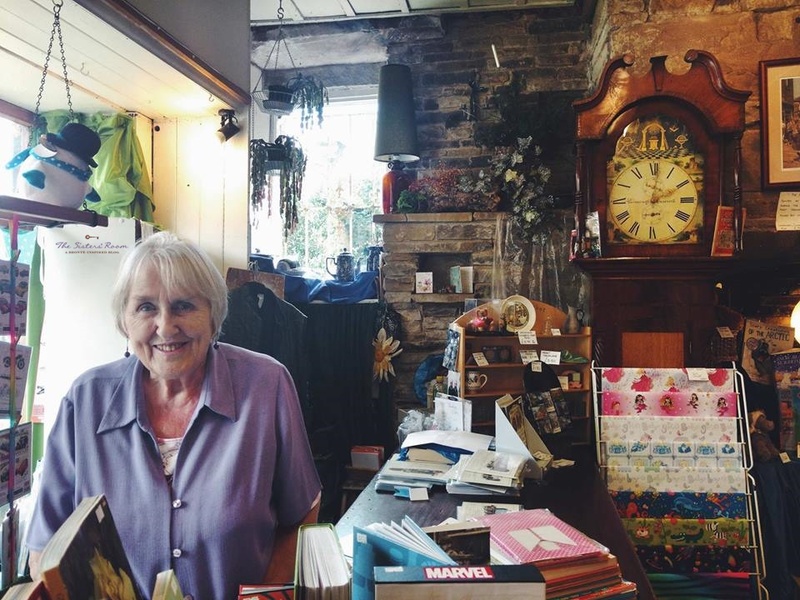 In her shop in fact you can also find a gorgeous grandfather clock, and guess what? That too is one of Barraclough’s clocks. Exactly like the one that used to be at the Brontë Parsonage Museum and like the ones you can see at The Hawthorn. Margaret also showed us how to wind it up (which basically was what reverend Brontë used to do back at home, every night, before going to sleep). Furthermore, and this is even a more interesting fact, we learned that Margaret’s family is somehow linked to Martha Brown, one of the servants who used to work for the Brontës. Well, it seems that at some point some of Martha Brown’s treasured collection of Brontë memorabilia came into Margaret’s family thanks to an ancient marriage. Today those items are back home at the Brontë Parsonage Museum, but can you imagine how thrilling it must have been to hold them in your own hands? Of course there are many more details about this story, and thanks to dear Jhonnie Briggs, who interviewed Margaret for us, we’ll surprise you later on with special effects. If you missed the latest updates about Barraclough’s clocks we suggest you to read The Hawthorn: Barraclough’s house in Haworth and also Virtual Tour of the Brontë Parsonage Museum- The Grandfather Clock. We are Selene Chilla and Serena Di Battista, two very close friends who chose to work together on this blog. This is the first Italian- English blog entirely dedicated to the Brontë sisters and we hope you’ll enjoy reading everything as much as we did writing it!